A few months ago, with the summer holidays looming, I decided that it was time for a family adventure. The Thompson's were going camping! The big day arrived and we set off up the Northumberland coast for a few nights. This was our first time, but we decided to throw ourselves in at the deep end and totally ‘Bear Grylls’ it. No electricity, and with only the most basic selection of hors d'oeuvres, and amuse bouche. 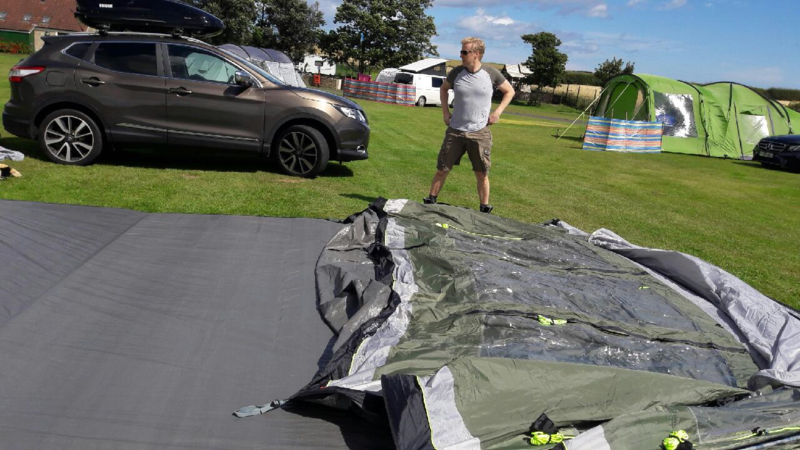 We arrived at the site, the sun was out and it wasn’t long before we had the tent up. The kids were happy…my wife was happy…I was happy. As night time approached, I noticed the noise from the nearby playground didn’t decrease. In fact it increased, as the excitement of staying out till dark sent the kids delirious. We managed to settle our two in their sleeping bags and to be fair, come 10.00, the last of the older kids had retired or collapsed due to lack of sugar. A hush had fallen over the campsite… all was calm… then, I heard a sound which sent a chill down my spine, a ukulele! The man in the tent next to us had decided that twanging away without tune, or any musical intention, was what the site needed and would enjoy. As a sufferer of Misophonia (look it up, it’s a thing), I could have let it get to me, but I didn’t. I convinced myself his intentions were good, and that he probably thought it was, in some deranged way, relaxing for all. 2.30am, I was woken up. Despite some industrial grade ear plugs, I could hear snoring! How could this be?! The ukulele had disappeared completely because of my ear plugs. Never the less, there it was. I removed the plugs, and the sound boomed from the tent behind us like a bison’s death rattle. Plugs back in, pillow over my head and a sleeping back over that, still couldn’t eliminate the cacophony. 4.30am the sun was up, the morning chorus in full song, and with material only a couple of milometers thick to protect me from both, I was awake. As always, my wife and the kids slept well. The kids were happy… my wife was happy… I was camping. The day was great! Castles, beaches, chips and sunshine who could ask for more. Back at the site more campers were arriving and someone had chosen a spot near us. This was fine, there was plenty of room. Then my heart sank as out from their car boot came another ukulele! "Plink!" …"Plank!…."Twang! "… "Boing!"…. into the night….for hours…in stereo!! 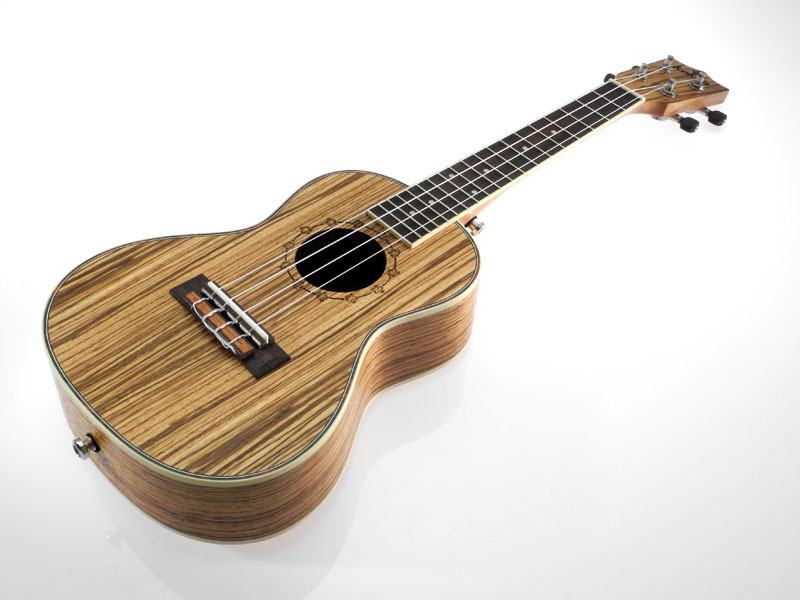 The thing is, I know a lot of people hate ukuleles, but I don’t mind them. I have one, and I’ve used it on many tracks. But there’s a time and a place, and this wasn’t it. Later …. more snoring…. sunlight……birds!! In my head camping is about solitude, peace, wide open spaces, the sound of rain on canvas. But in reality, it’s like trying to go to sleep in a Brewers Fayre. So, would I go camping again? Well…. yes. The kids were happy…my wife….you know the rest! Just remember, ukuleles don’t annoy you, people do! !